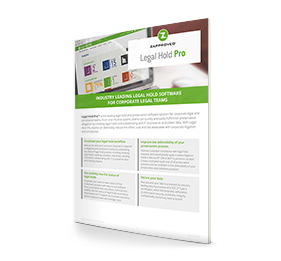 Legal Hold Pro can help you take control of preservation. Download Data Sheet for More Information. 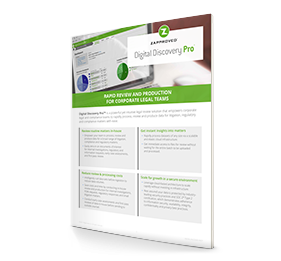 Digital Discovery Pro can help you process and review discovery data. Download Data Sheet for More Information. 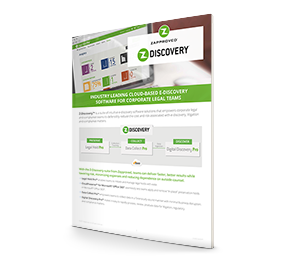 Z-Discovery can modernize your ediscovery approach. Download Data Sheet for More Information.